The stainless threaded elbows are used to change the flow direction in any type of low pressure pipelines. The threaded elbows are ensuring high resistance to corrosion, heat, chemical damage and increase the overall durability. The elbows with a thread provide permanent connection in critical situations. 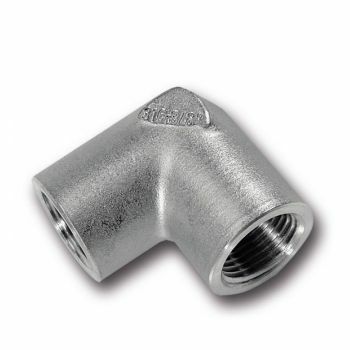 Our stainless steel threaded female x female or male x female elbows are suitable for marine, pumping, commercial, domestic and irrigation applications where a true stainless steel elbow is required. Stainless threaded elbow 90° - BSP ISO 228 If you have to change the direction of flow, stainless threaded elbows are likely your best bet. The 90° Threaded elbows are one of the most crucial fittings used in plumbing. 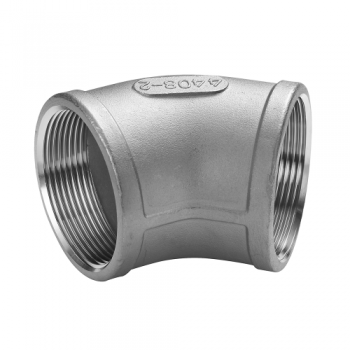 The 90° - BSP ISO 228 stainless threaded elbow fitting makes a 90° change of direction in the ru.. 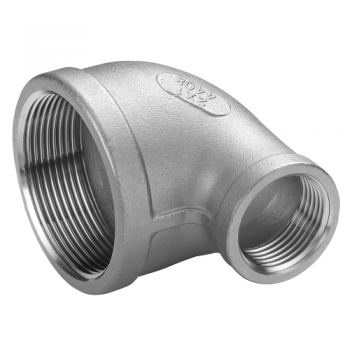 Stainless threaded elbow 45° - BSP ISO 228 If you have to change the direction of flow, stainless threaded elbows are likely your best bet. The 45° Threaded elbows are one of the most crucial fittings used in plumbing. The 45° - BSP ISO 228 stainless threaded elbow fitting makes a 45° change of direction in the ru.. 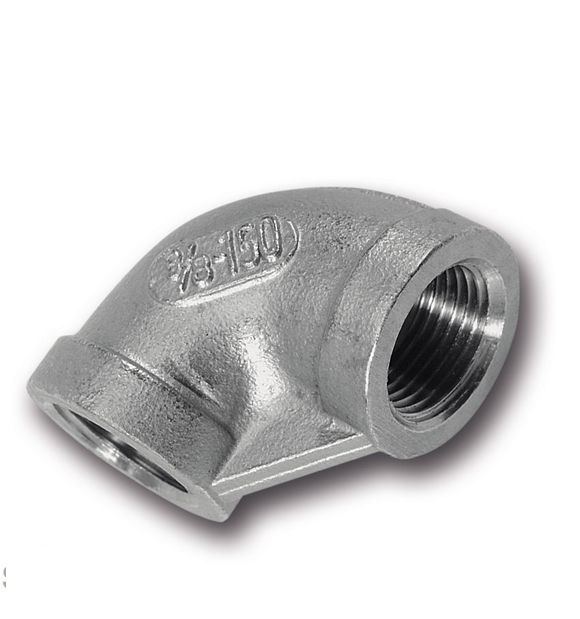 Stainless threaded reducing elbow 90° - BSP ISO 4144 - F-F These stainless threaded fittings are great for changing direction of flow at a point where also change of the pipe size is needed or a different size fitting should be installed. The threaded reducing elbow made of stainless steel allows you to transition pipe size and di..